Dr. LouAnn Heath Woodward, an emergency medicine physician and academic administrator who has served as second-in-command of the University of Mississippi Medical Center for the last five years, has been named the institution’s next vice chancellor for health affairs and dean of the School of Medicine. UM Chancellor Dr. Dan Jones made the announcement Wednesday afternoon following a meeting of the board of trustees of State Institutions of Higher Learning. Woodward, 51, a native of Carroll County who serves as associate vice chancellor for health affairs and vice dean of the School of Medicine, will succeed Dr. James E. Keeton, who held the post for five years. Keeton, 75, had earlier announced he would retire no later than June 30, depending on the appointment of his successor. Woodward’s appointment follows a national search by a committee that ultimately narrowed the field of candidates to two finalists, including Dr. Stephen J. Spann, a family medicine physician who is chief medical officer for the Johns Hopkins Medicine-affiliated hospital in the United Arab Emirates. Jones made the final selection, which was affirmed by the IHL board. Woodward thanked the chancellor, Provost Stocks, IHL board members and Bounds for the opportunity. By tradition, the leader of the Medical Center holds the dual role of vice chancellor for health affairs and dean of the medical school. The vice chancellor essentially acts as CEO of the Medical Center, with responsibility for 10,000 employees, 3,000 students, four teaching hospitals and two community hospitals, five health professions schools and the state’s largest health care research enterprise. The Medical Center’s operating budget is $1.6 billion annually, about 11 percent of it from the state. A native of Carroll County in north central Mississippi, Woodward graduated from Mississippi State University and attended medical school and completed a residency in emergency medicine at UMMC. After residency training, she joined the faculty in the Department of Emergency Medicine, where she holds the rank of tenured professor. She is a fellow of the American College of Emergency Physicians. While serving in the emergency department, she gradually became more involved in educational administration of the medical school, first as director of the emergency medicine residency program and later as associate dean for academic affairs. In the last few years, she has overseen not only a substantial expansion of the medical school’s class size but the successful 2012 re-accreditation of its academic programs. In 2013, Woodward was invited to serve on the Liaison Committee on Medical Education, the accrediting body for U.S. and Canadian medical schools, and chairs its subcommittee on international relations. 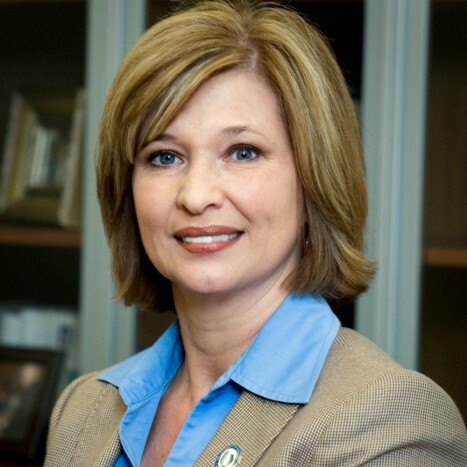 Woodward is the 10th person and the first woman to serve as institutional head in the 60-year history of UMMC in Jackson. She and her husband, Jon, live in Madison and have four children.